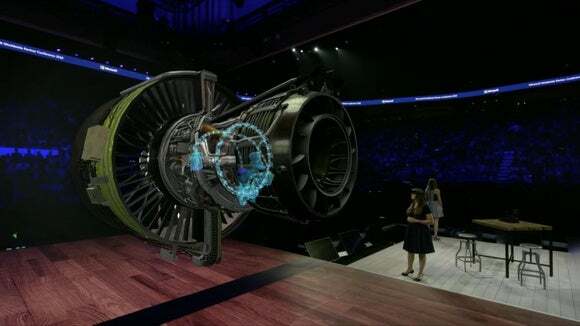 CEO Satya Nadella talked up the HoloLens at Microsoft’s Worldwide Partner conference in Toronto Monday, along with an app that Japan Airlines is using to train its engineers. "We now have HoloLens available both as a developer edition as well as an enterprise edition," Nadella said. The reference to an enterprise edition caused some confusion initially, as Microsoft watchers speculated that the company had two versions of the product -- one for large businesses and another aimed at individual developers. But that's not the case. Nadella was merely referencing an ongoing program intended to make it easier for businesses to try out HoloLens for use in-house. The program allows businesses to buy more than two HoloLens headsets at a time, along with service contracts and other enterprise-focused features. The hardware is the same as that received by other developers. 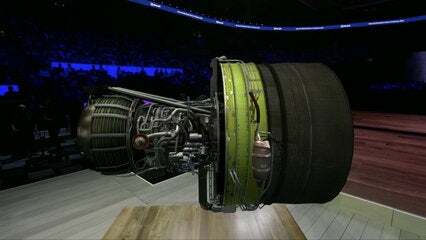 Several organizations are testing HoloLens including Trimble, Autodesk, NASA and Volvo. Pricing for enterprises hasn't been released, but Microsoft is encouraging customers to talk with their sales rep if they want to get on board. Developers who aren't part of the enterprise program can sign up to buy a HoloLens development kit, which will cost them $3,000 if they're selected. Nadella's pitch on Monday was aimed at its partners attending the conference. MIcrosoft has a program in place through which companies can get certified to build HoloLens applications. That could accelerate adoption among businesses, because they won't need their own developers specializing in augmented reality to get started. In future, we might see more divergence between the developer and enterprise editions of the HoloLens, especially as Microsoft continues to add new features to the version of Windows 10 that runs on the headsets. Right now, the company lets adventurous folk test updates to Windows through its Insider Program, while allowing enterprise users to delay updates. It seems likely that will come to the HoloLens at some point. The news comes a little over a month after Microsoft announced at Computex that it wants the Windows Holographic operating system to be usable on other headsets, not just the HoloLens. It's an interesting move for Microsoft, which wants to create a platform for augmented reality computing that reaches other hardware makers.